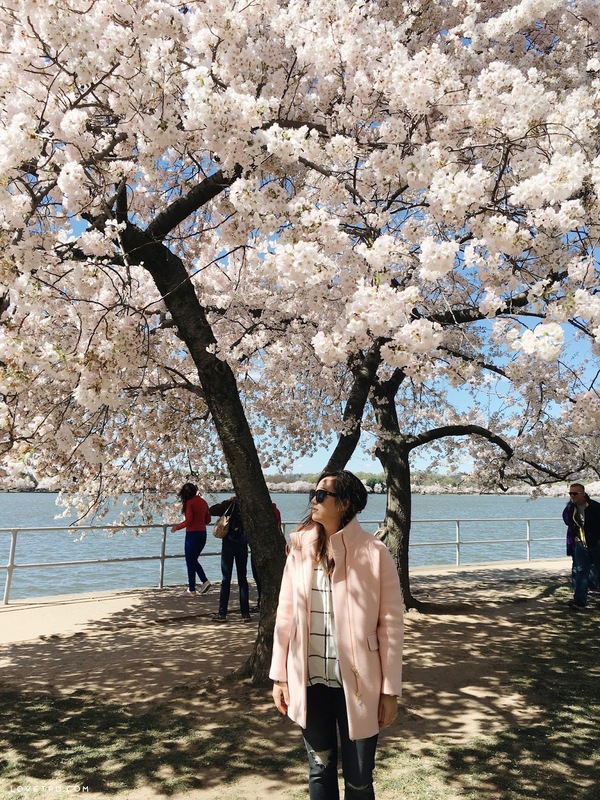 I went to DC today to see the cherry blossoms before they disappeared and what a sight! 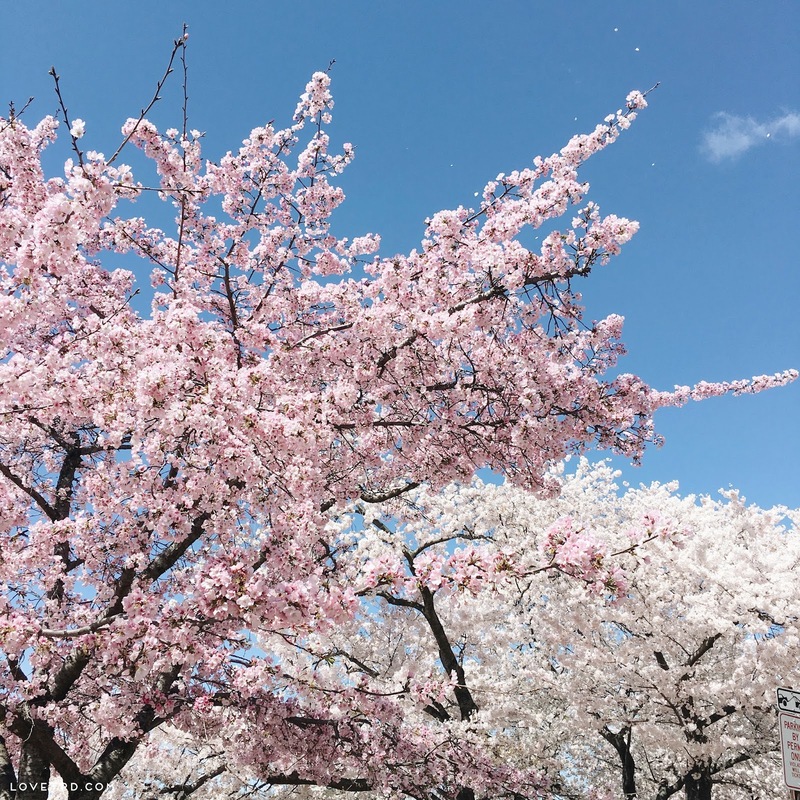 Cherry blossoms bloomed earlier than last year and luckily I came back home from New York in time to see them in full bloom. Luckily it wasn't crowded today so I was able to snap some photos without waiting to take some shots of the Jefferson Memorial. Weather was a bit chilly but it was magical seeing the petals fly away. 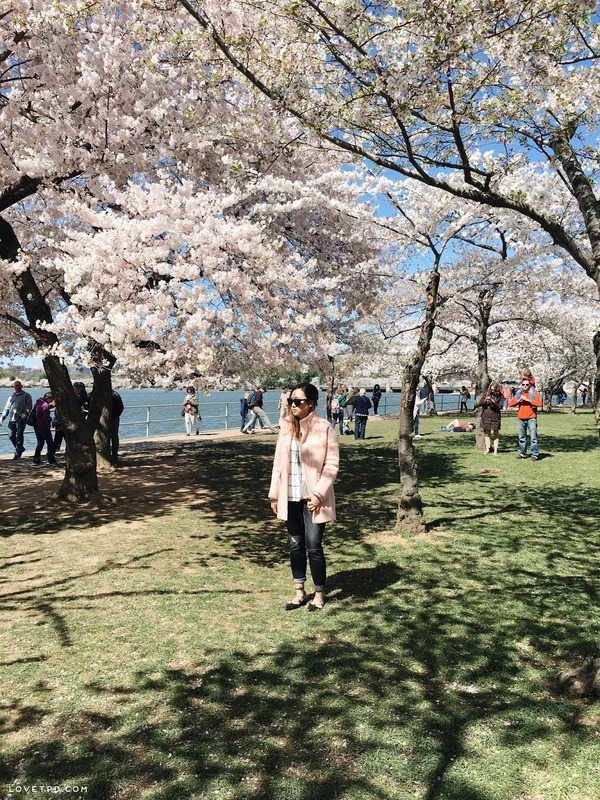 One of my bucket lists is to go to Japan and see the cherry blossoms, maybe next year? Hope everyone is having a great week so far! Beautiful pictures. 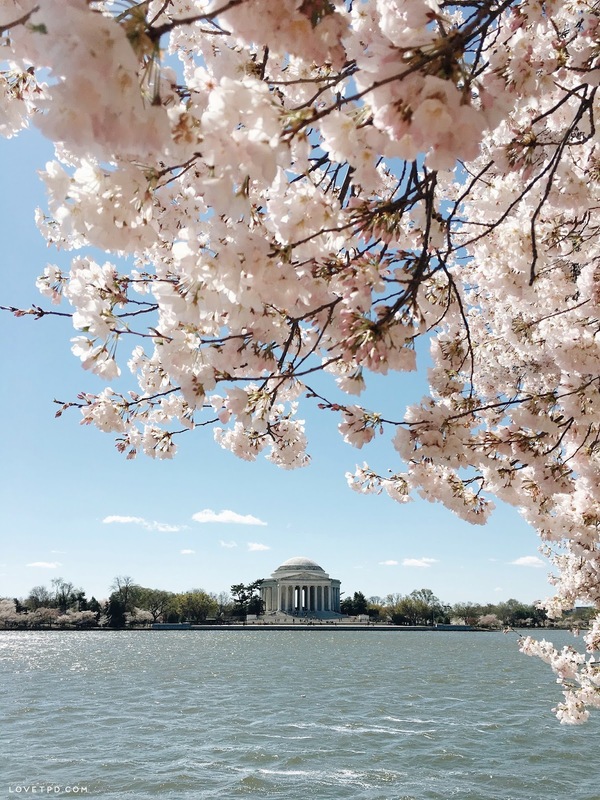 Reminds me that I need to get to steppin' and go to the park and take pictures of the cherry blossoms as well. 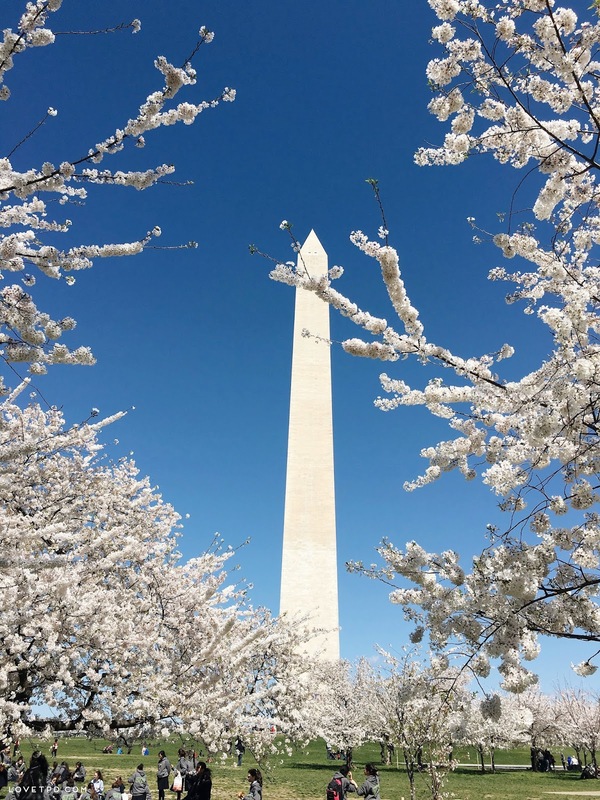 ah hopefully next year you'll be able to see the cherry blossoms in DC! 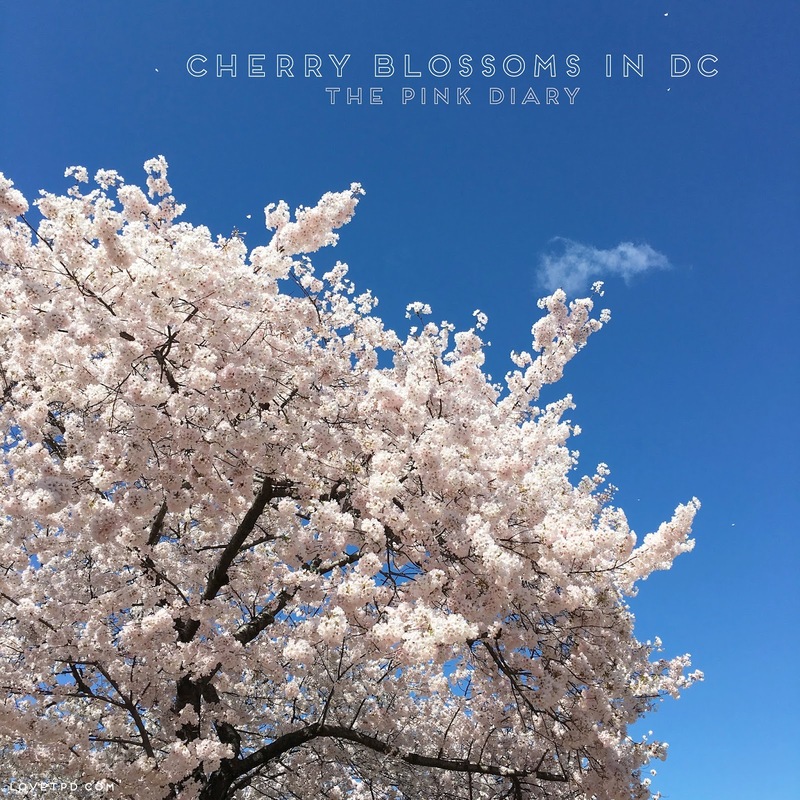 it truly is a sight :) cherry blossoms came early this year but looks like you were able to catch some cherry blossoms in your blog post!